The Jumper just caught my eye when I walked into the shop and really it didn’t stand a chance, in my head It was already in the carrier bag and coming home with me then and there! Then I spotted the shoes and well … it was a full gone conclusion and off to the fitting room I went! It is the perfect throw on piece to jazz up a pair of skinny jeans and it has enough detail about it that you can get away with keeping it simple with a nice pair of heels or flats and it would even look really cool with a pair of converse for a nice casual relaxed look. 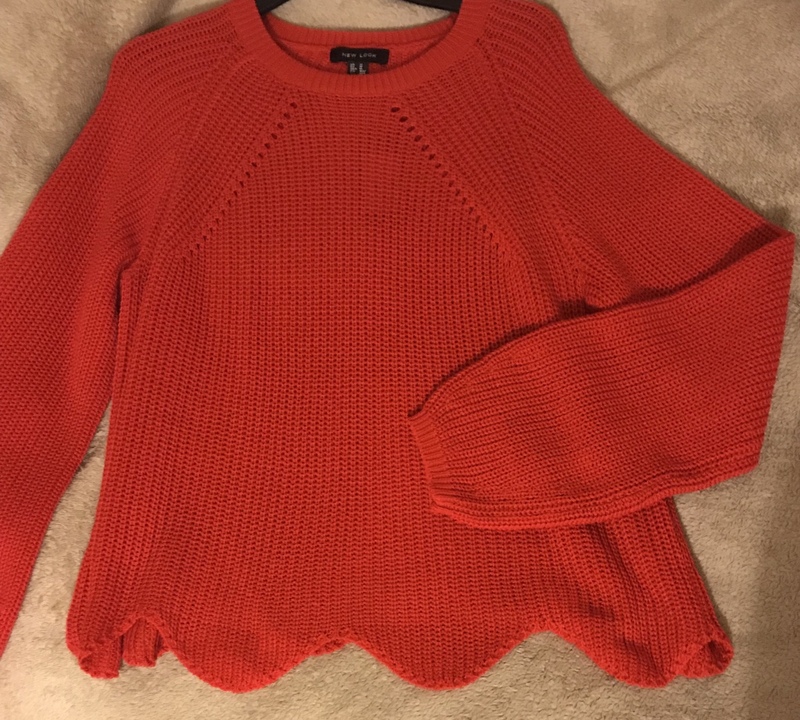 It’s a lovely bright shade of red with a chunky knit style stitching with a round neckline and has a really nice scalloped style hem which just gives it a nice extra bit of detail, it also has a bell sleeve and a swing style shape so its very flattering and comfortable to wear too. 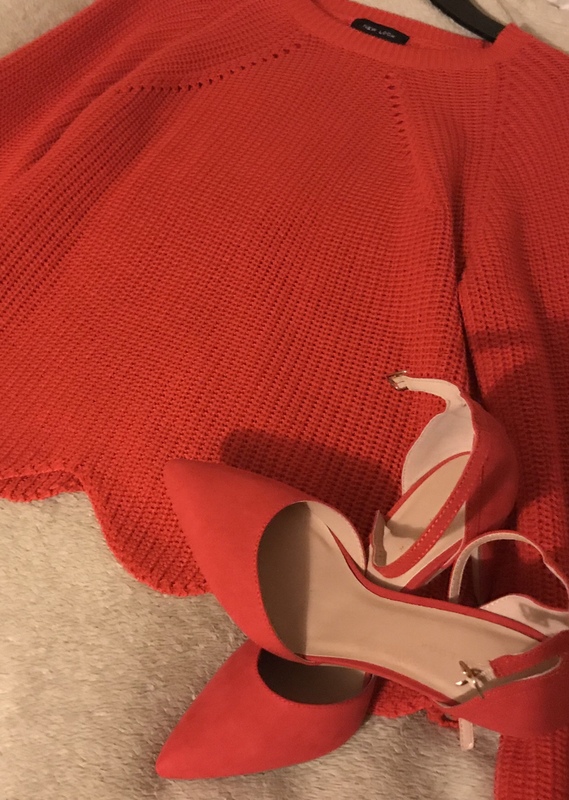 You could also incorporate the jumper into a workwear look and pair it with a tailored pair of trousers and some pointed court shoes for a smarter alternative, it would look great with a pair of black and white check tapered trousers for a really on trend look mixing the bright red with monochrome which is also a huge trend right now. 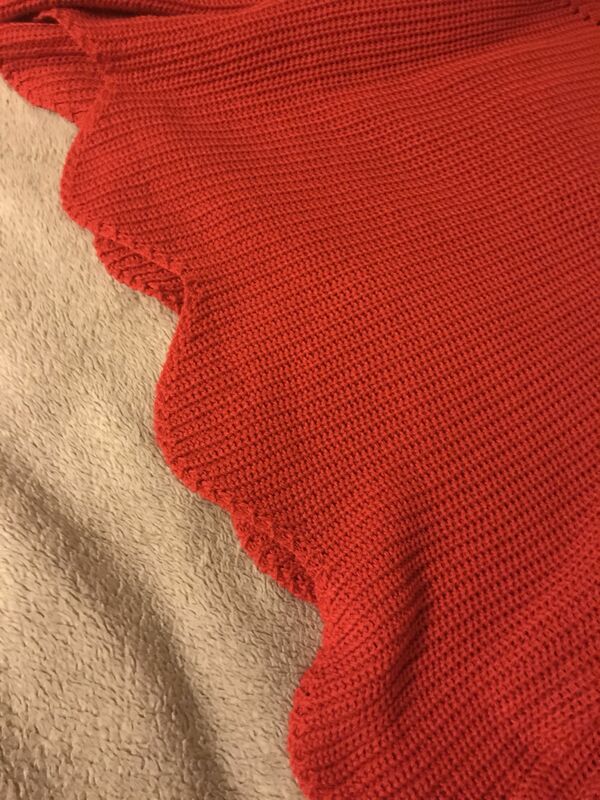 The red shade also looks great with Khaki too! Wear them with skinny jeans and a nice top (yes – that ever searching for combination that never seems to exist!) 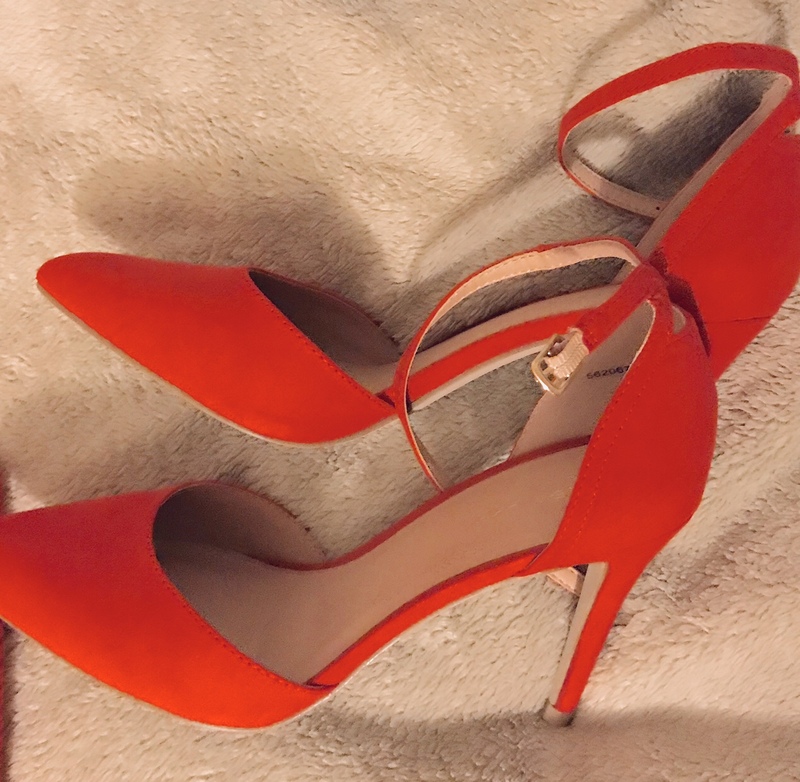 or pair them with a leather look pencil skirt or a nice fitted black dress for a pop of colour, the possibilities are endless plus they are a really classic style, so they won’t date and will be a great staple accessory in your wardrobe. So, buy now I am already waiting to tap my card on the card reader and bag up my new purchases when the lady serving me says “I bought a lovely colour lipstick that would match that jumper perfectly the other day you know” … she knew not what she just did …. before I could reply she then follows this with “yeah – it’s called Mangrove by MAC” and with that a Guinness world record was set for the quickest online order ever made and the rest is history! 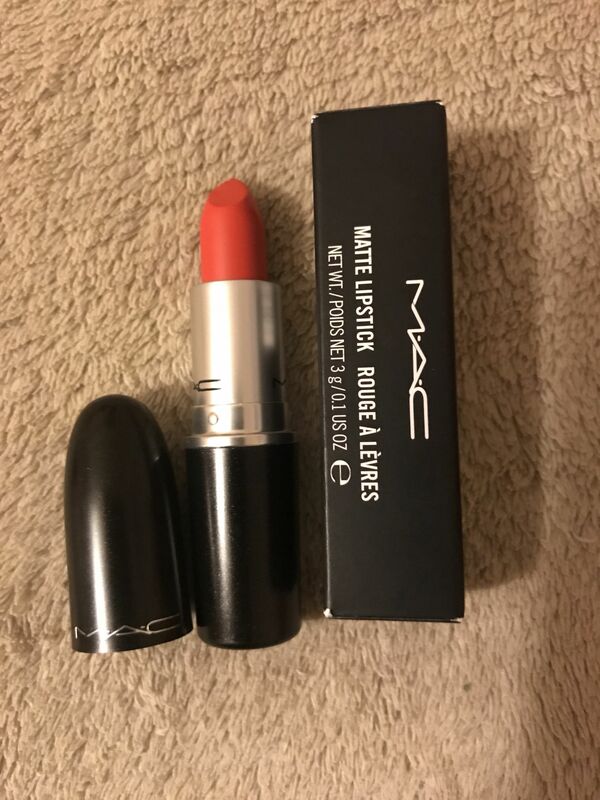 My shiny new MAC lipstick was being delivered next day! Mangrove by MAC has now arrived and what a beauty it is! 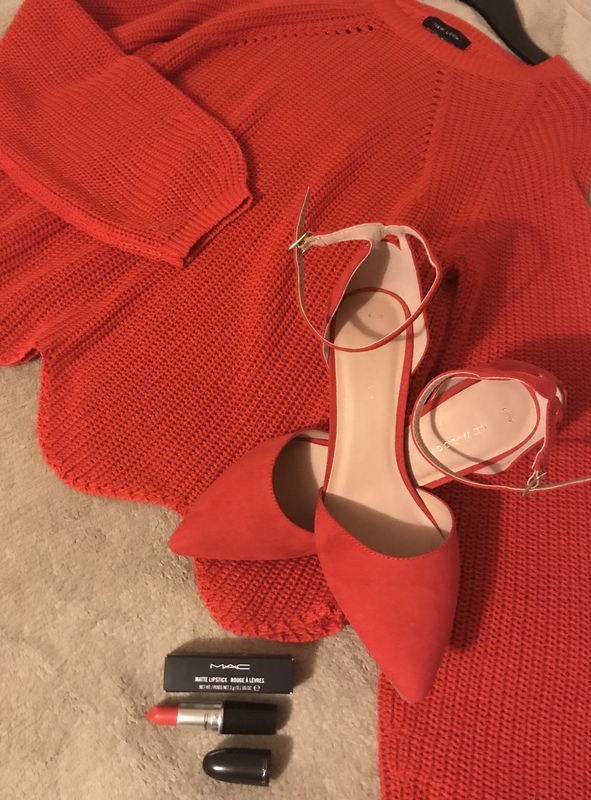 A beautiful coral shade of red that is a perfect match to my nice new jumper and shoes and it’s the perfect go to colour for spring/summer. 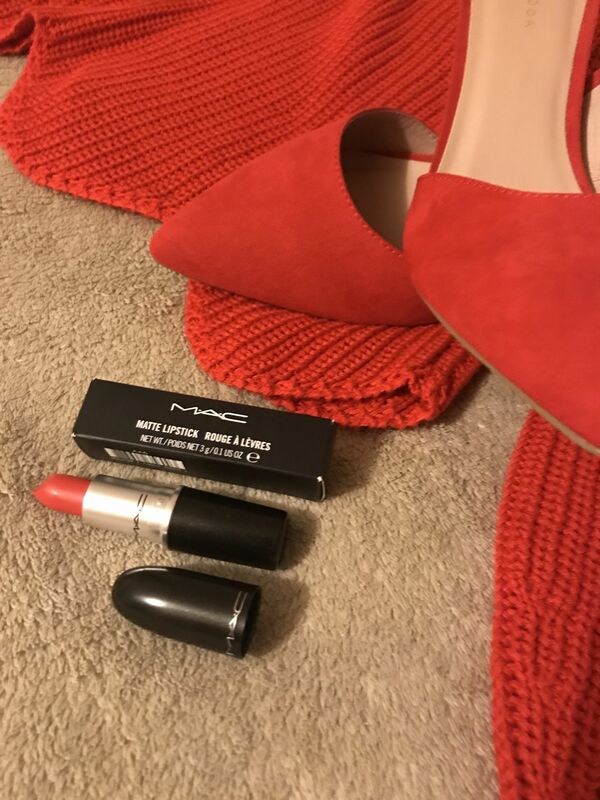 Anyone who knows me will tell you how much I love a red lipstick and I do have quite a few in my collection but this one now sits pride of place alongside Ruby Woo and Marc Jacobs now I just need to find a matching lipliner to go with it!